KoolText is an educational add-on application for messengers. It allows you to send colorful flowers, popups to chatroom or private messages. 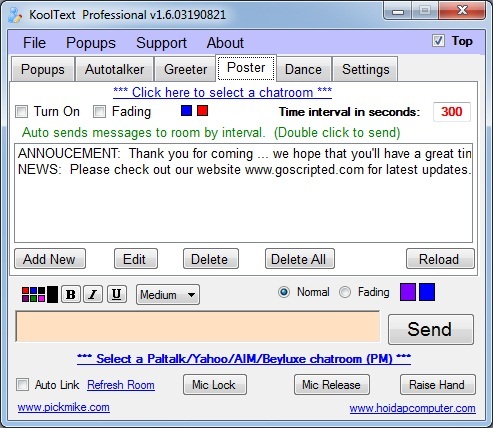 This software supports multiple Instant Messenger, such as Paltalk, Beyluxe, and Yahoo. This software also come with greetings and postings. Check it out!